Tax breaks could be handed to producers of steel in a bid to cut costs and prevent closures, Business Secretary Sajid Javid has said. 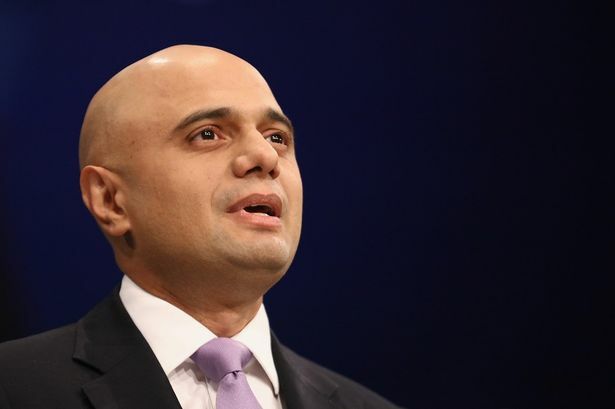 Mr Javid, the MP for Bromsgrove in Worcestershire, spoke in the House of Commons as the fate of more than 1,700 jobs at Caparo Industries, most of them in the Black Country, hung in the balance. The group, which includes around 20 businesses involved in steel and engineering, has gone into administration. Caparo is owned by Labour peer Lord Paul of Marylebone and has struggled after seeing the price of steel fall with Chinese imports flooding the market. Administrator PwC and unions are optimistic that many jobs will be saved although uncertainty is expected to continue for some days. Other parts of the country have also suffered as a result of sinking steel prices. The Thai owners of the Redcar steelworks on Teesside have gone into liquidation with the loss of 2,200 jobs while Tata Steel has announced nearly 1,200 job losses at its plants in Scunthorpe and Lanarkshire. China has been accused of contributing to the problem by dumping cheap steel onto world markets. Chinese President Xi Jinping is visiting the UK this week and Downing Street has said Prime Minister David Cameron will raise the issue with him during the visit. Mr Javid suggested the Government could cut business rates to help the steel industry as he spoke to MPs. He said: "An extensive review of business rates is already under way and the Government will look very closely at all proposals." The Business Secretary also said the Government would try to ensure UK steel producers won contracts to provide steel to major infrastructure projects. "We will drive up the number of public procurement contracts won by UK steel manufacturers and their partners through and fair and open competition," he added. "This government is committed to a major programme of infrastructure spending. I am determined the UK steel industry should play a central role in its delivery." But he said: "No government can change the price of steel in the foreign market." Black Country MP Tom Watson (Lab West Bromwich East) said he was seeking talks with unions and Caparo to ensure jobs were saved. Labour&apos;s deputy leader Mr Watson said: "This is another blow to the UK steel industry. I am seeking urgent talks with Caparo and the trade unions to see how we can save the jobs in Sandwell and the rest of the country. "The steel industry is a vital strategic asset for the UK. We need a long term view for the industry. "I urge the Government not to leave thousands of British workers at the peril of short term market changes. They should act now before it&apos;s too late."